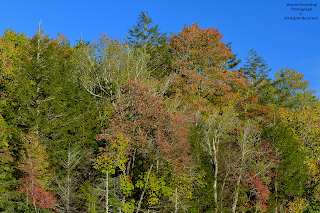 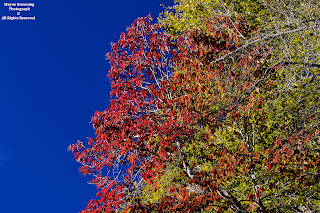 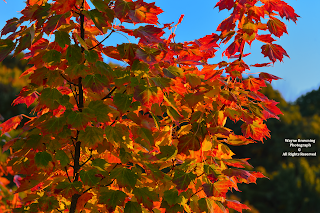 Although some nice color is developing, I do not expect color to be as good this year in upper elevations due to an Anthracnose Fungal infection of many maples and northern red oak ( variation borealis ) species, with brown to dark spotted leaves. 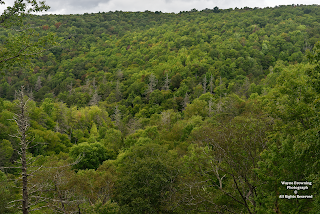 Note brownish trees in the view above looking across High Knob Lake Basin from Route 238. 1-22 featuring an abundance of low clouds-fog and mean temps that have been warmer than Summer 2018. 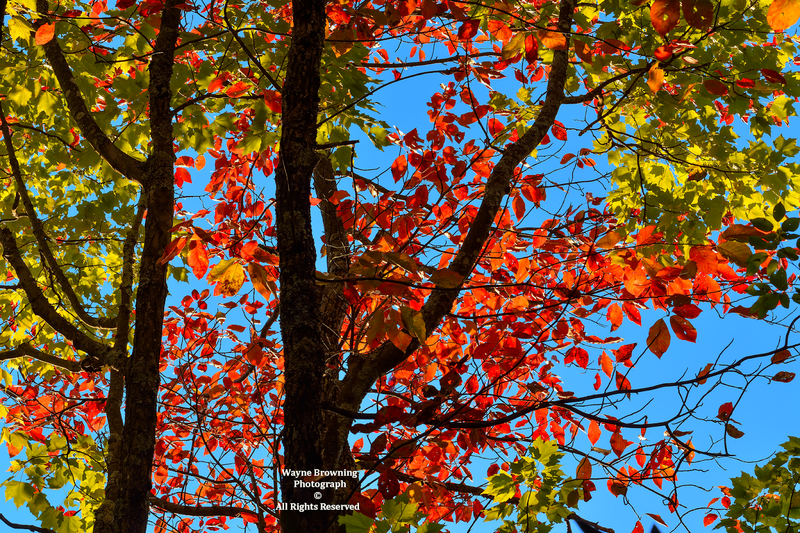 Although conditions remain mild, the end of August marked the conclusion of Meteorological Summer and the beginning of Autumn 2018 ( September-November period ). 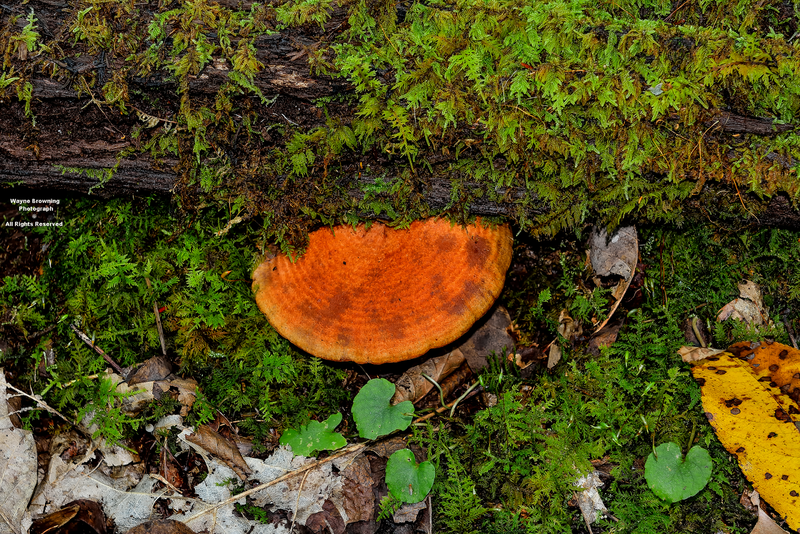 observed during the entire 3-month season. 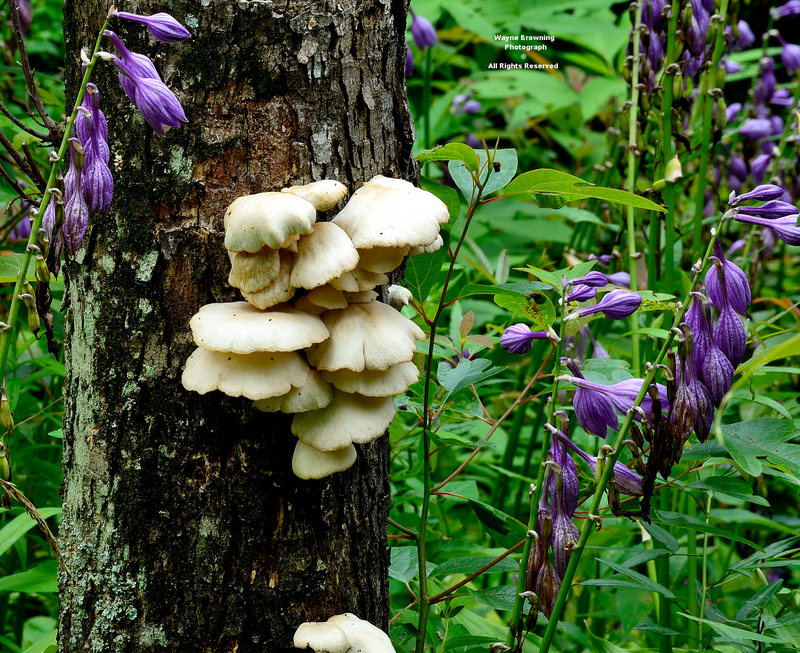 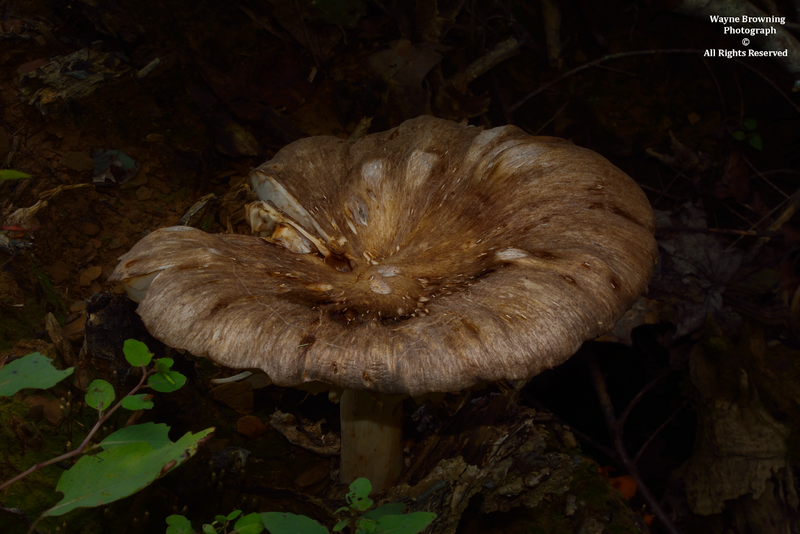 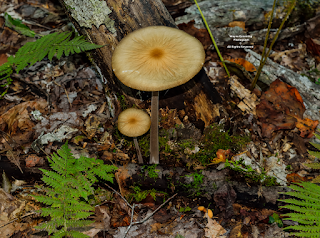 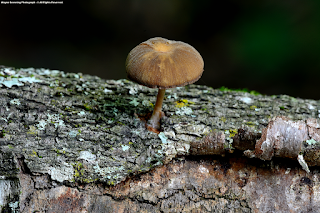 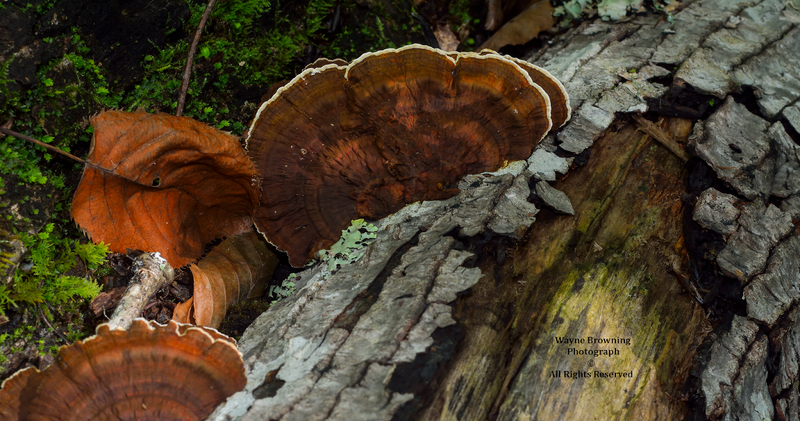 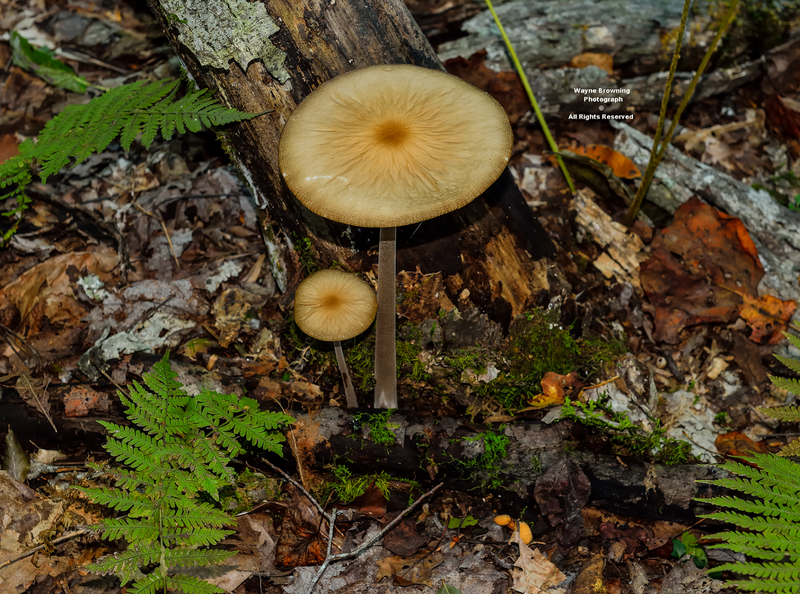 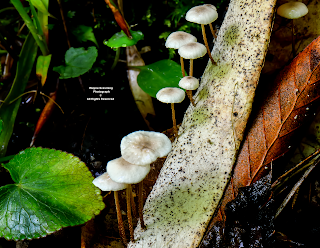 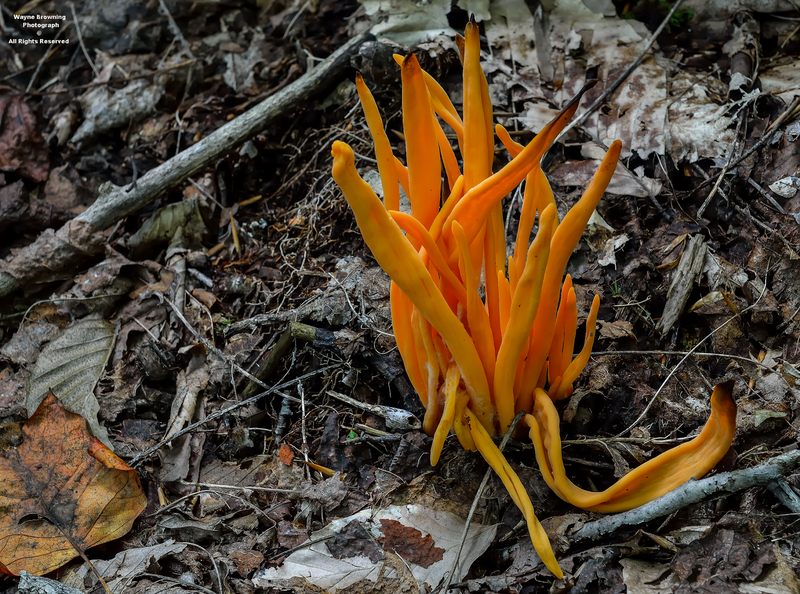 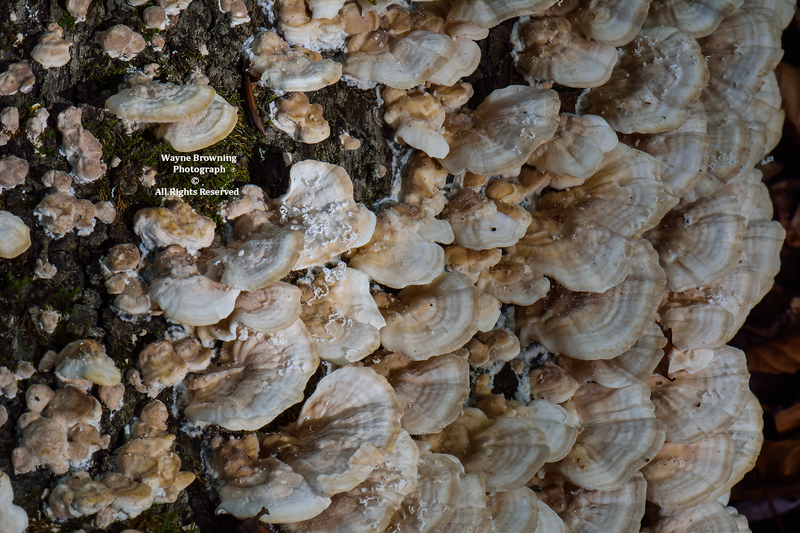 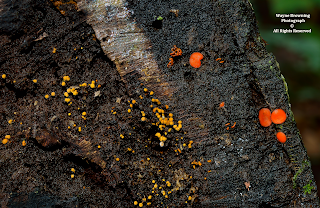 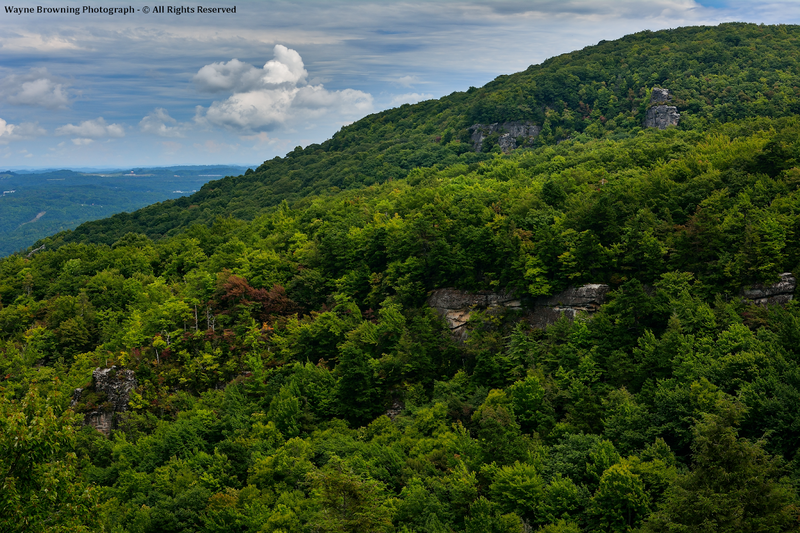 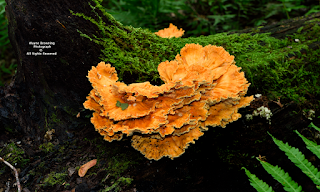 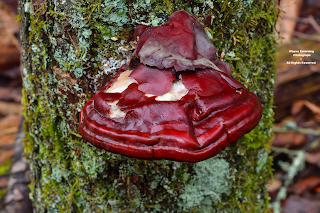 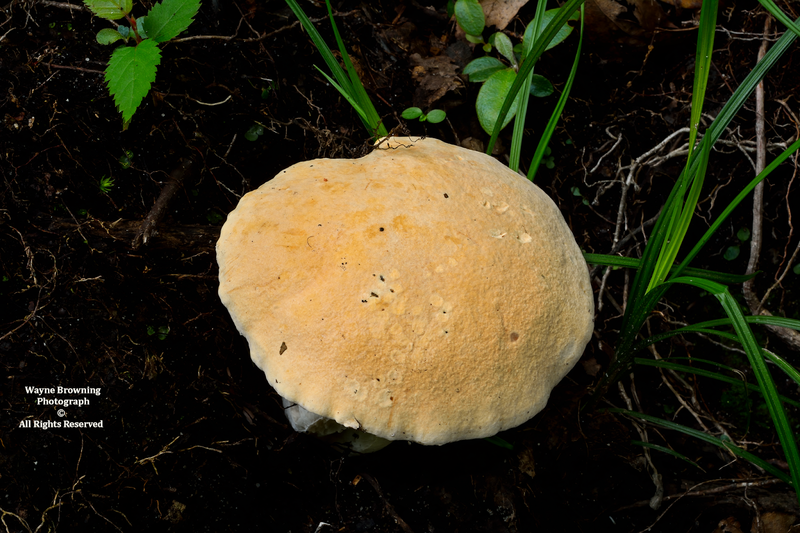 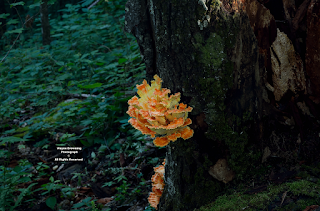 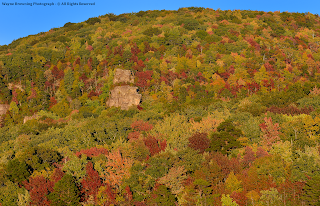 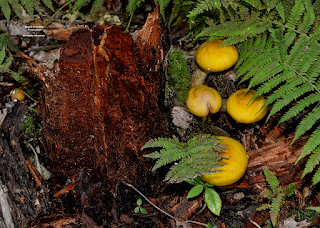 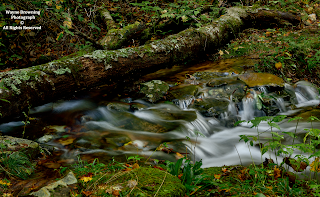 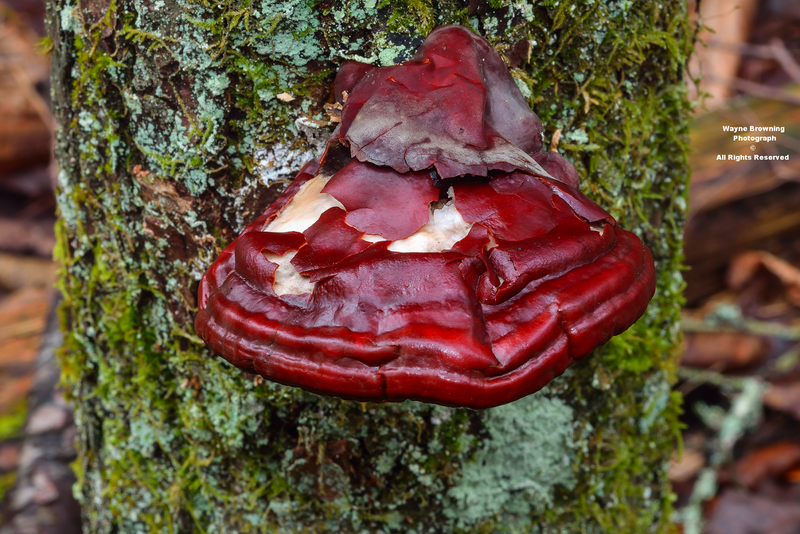 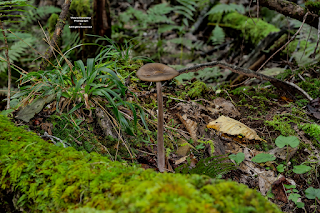 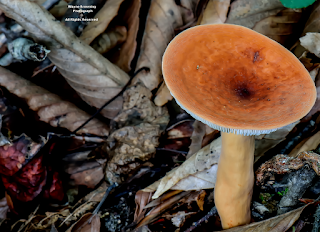 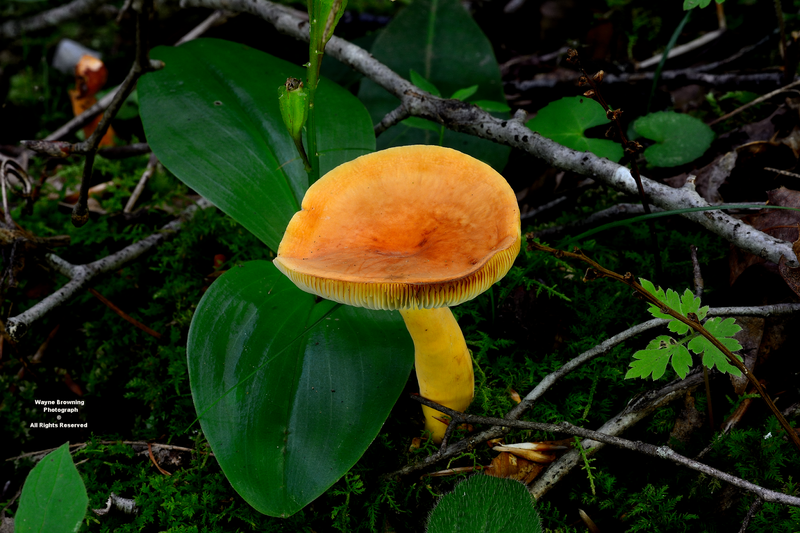 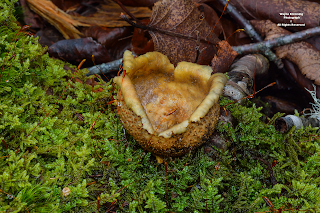 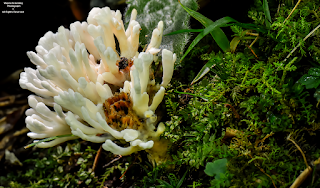 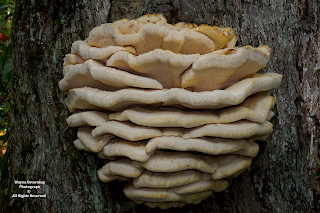 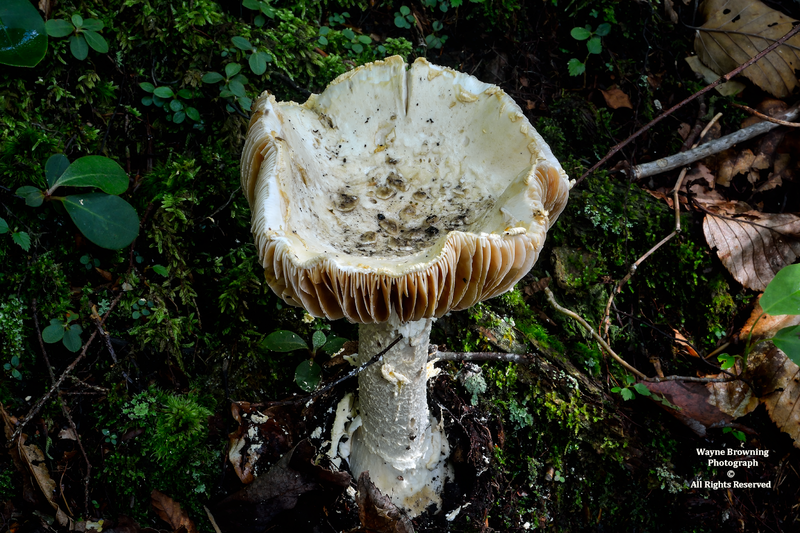 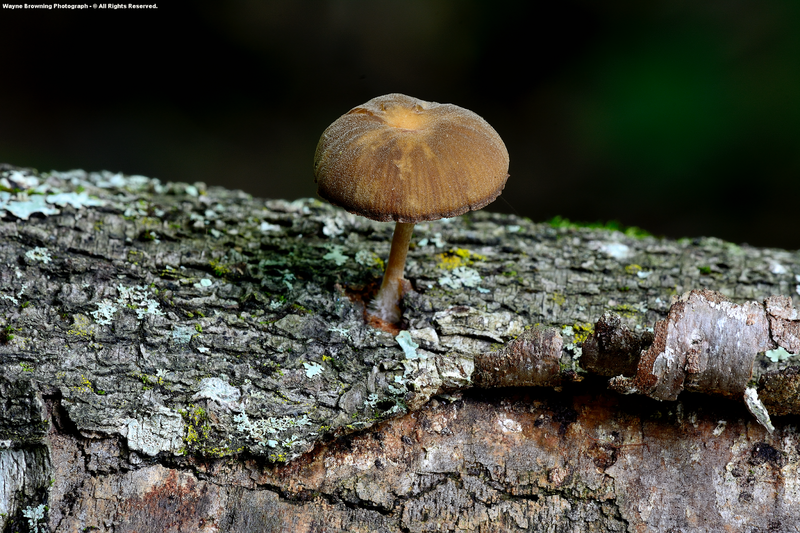 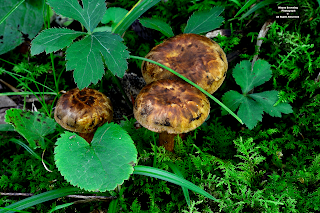 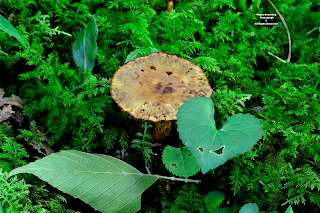 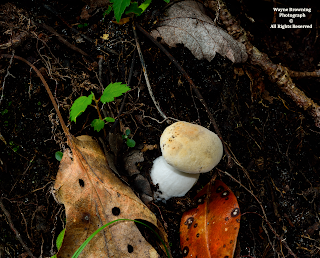 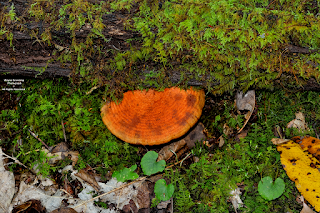 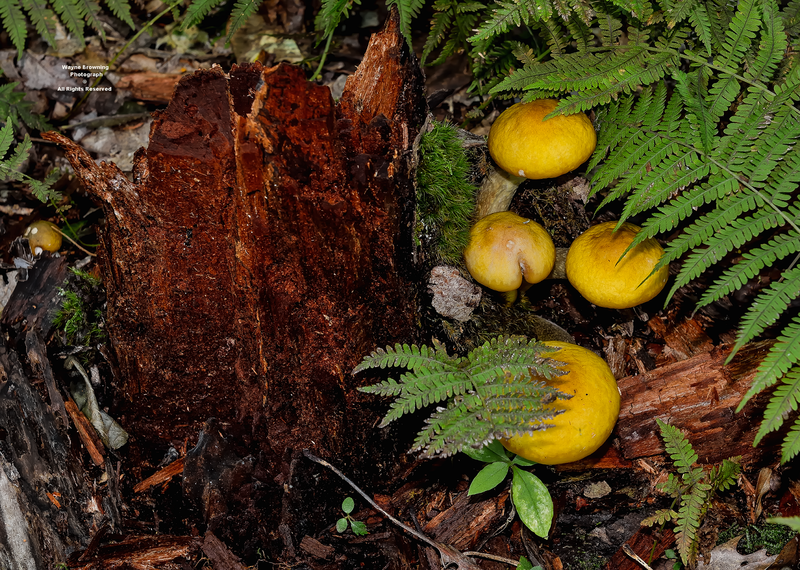 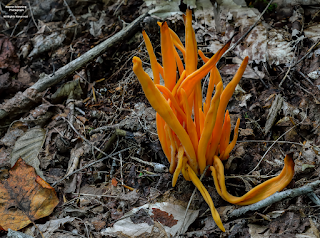 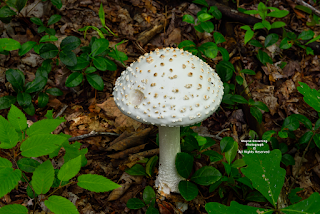 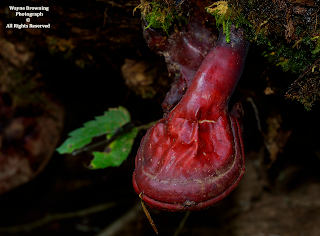 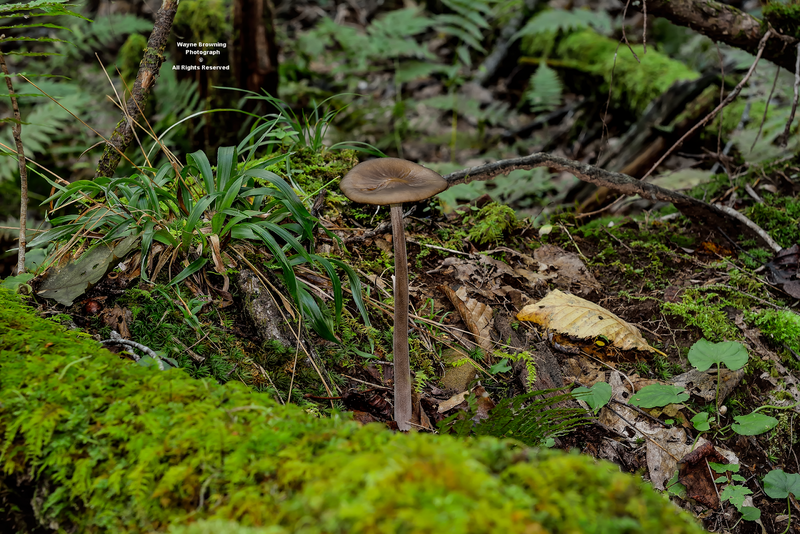 The largest living organism within the 200 square mile expanse of the High Knob Massif could very likely be a fungus, via vast filamentous networks of subterranean mycelium that essentially connect all floral elements together. 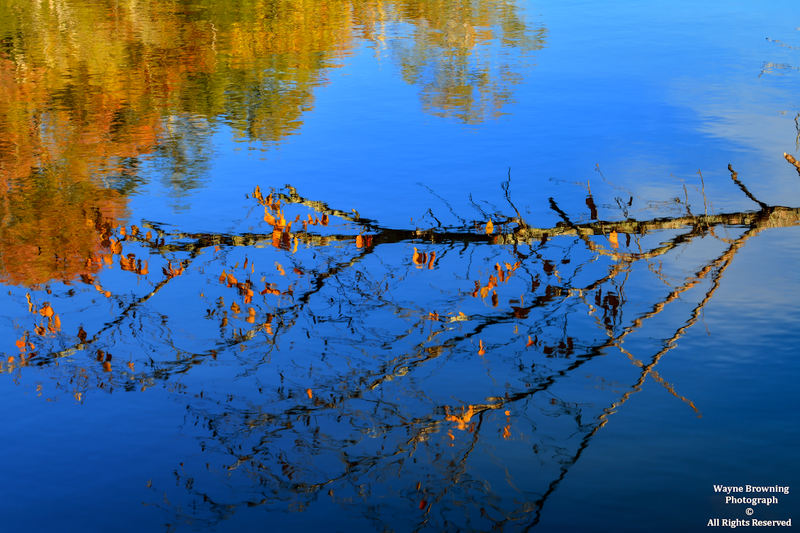 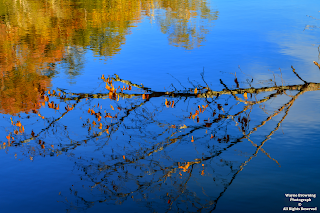 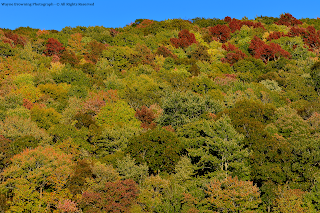 Since these networks mimic the neuronal network of the human brain, or vice versa, it can be argued that a forest ecosystem has an inherent intelligence! 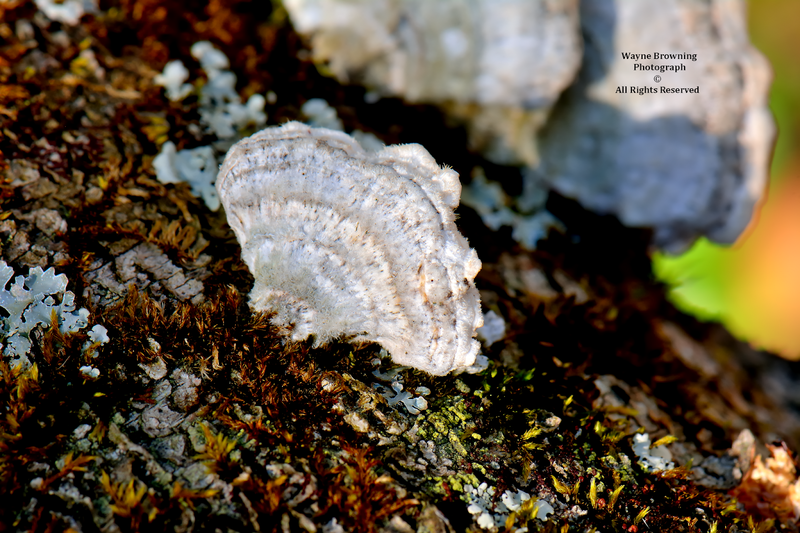 Science is discovering this fact. 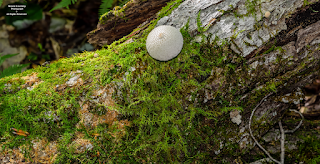 What most folks call mushrooms are only the fruiting bodies, or spore producing reproductive structures which in many cases are transient in nature. 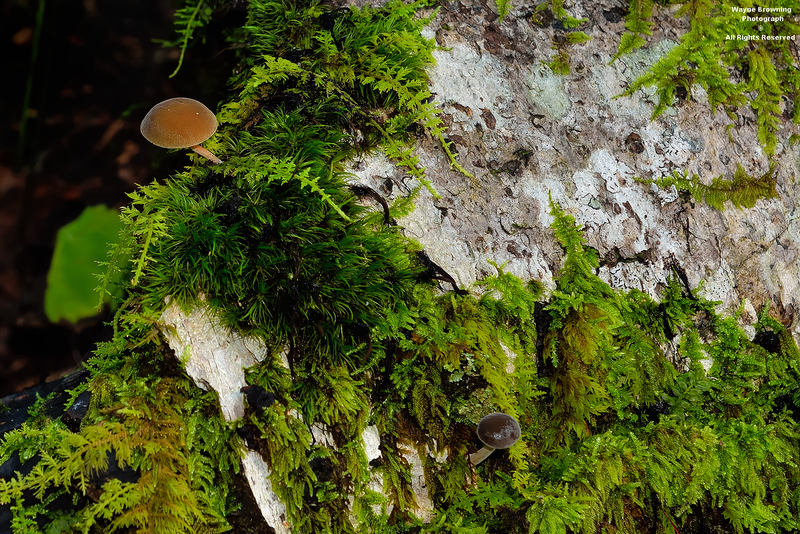 The vast network of mycelial connections remain and continue to grow and expand over time, at least until broken by human disturbances. 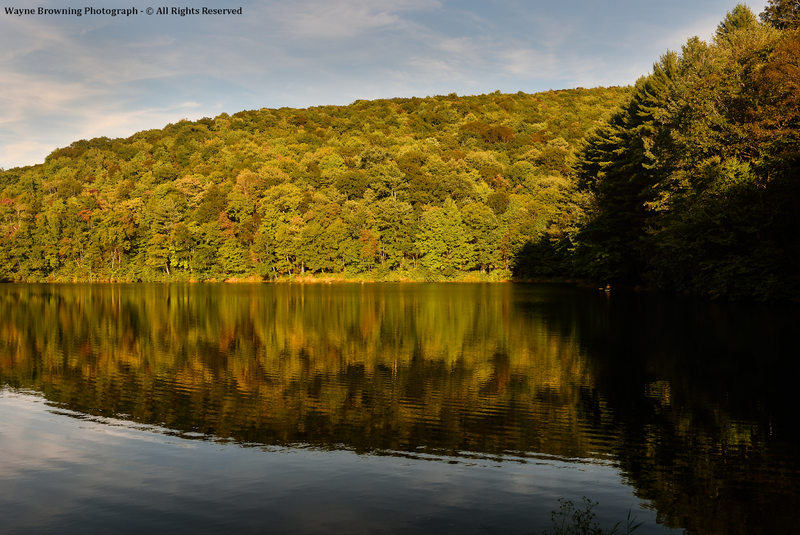 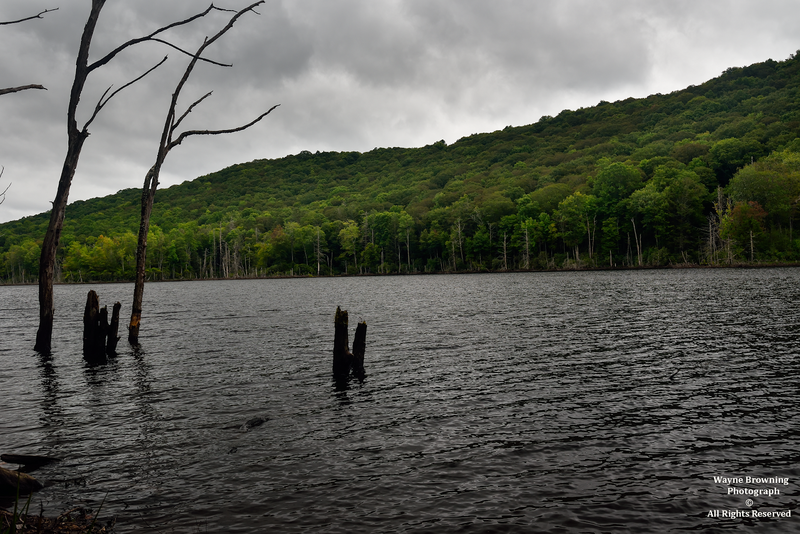 A total of 2.5 hours ( 150 minutes ) at or above 80 degrees were observed at High Knob Lake during the June-August period. 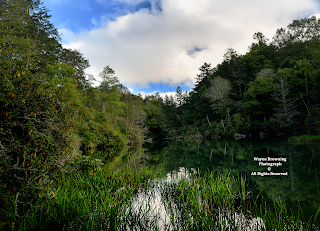 The ''coolest'' summer MEAN on the High Knob Massif Mesonet was observed in the head of Big Cherry Lake basin where the June-August average was a few tenths of a degree lower than on the northwestern slope of Eagle Knob ( * ). at an elevation of just over 3200 feet. 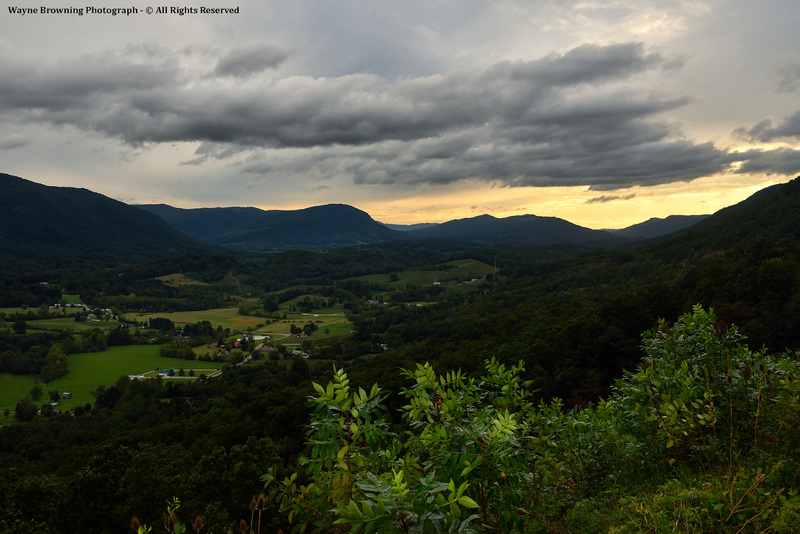 University Of Virginia's College At Wise. 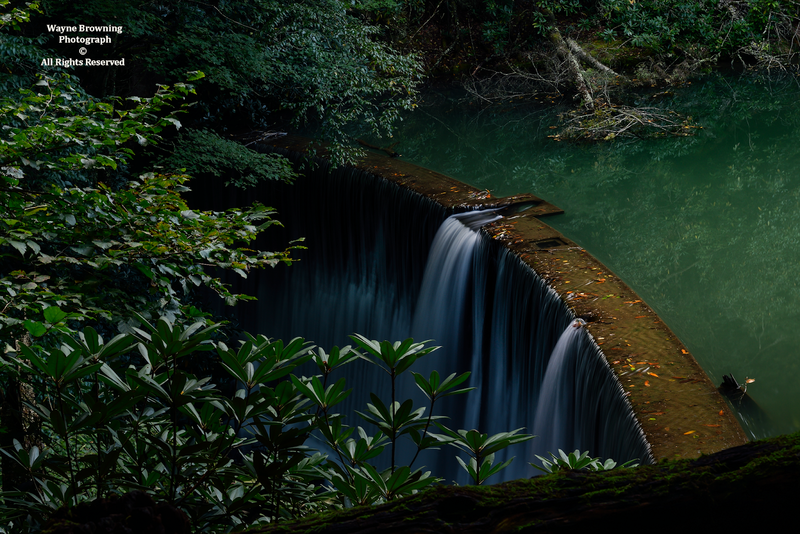 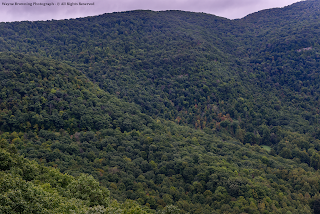 with increasing elevation in the Appalachians ( ** ). 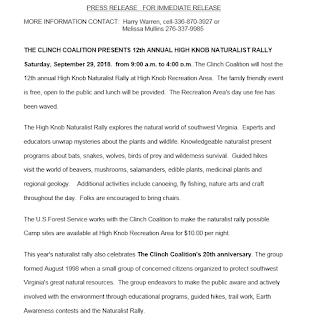 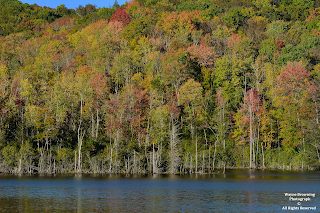 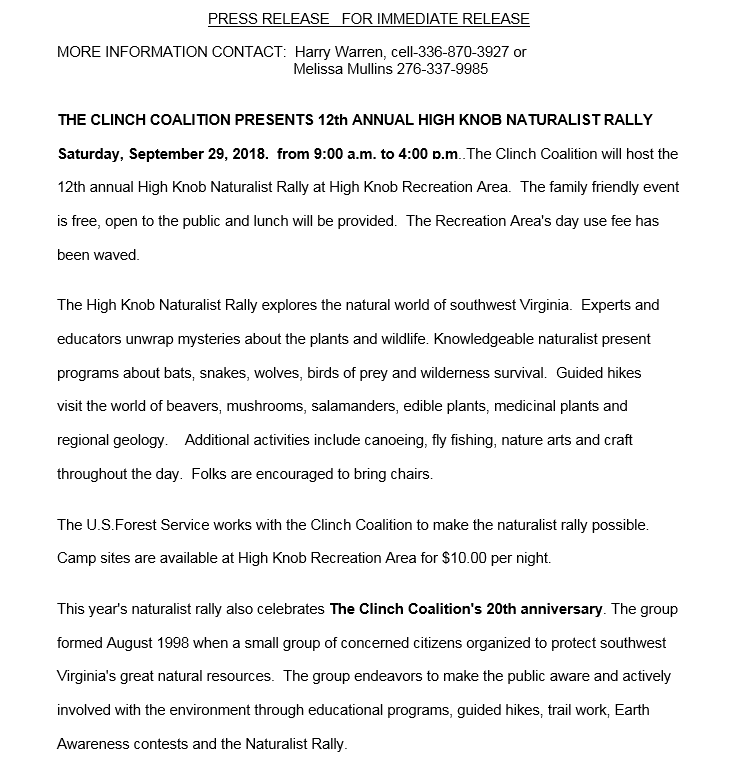 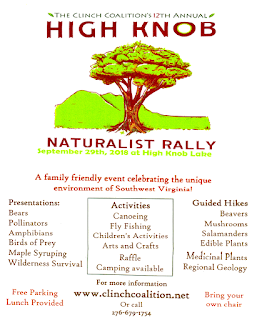 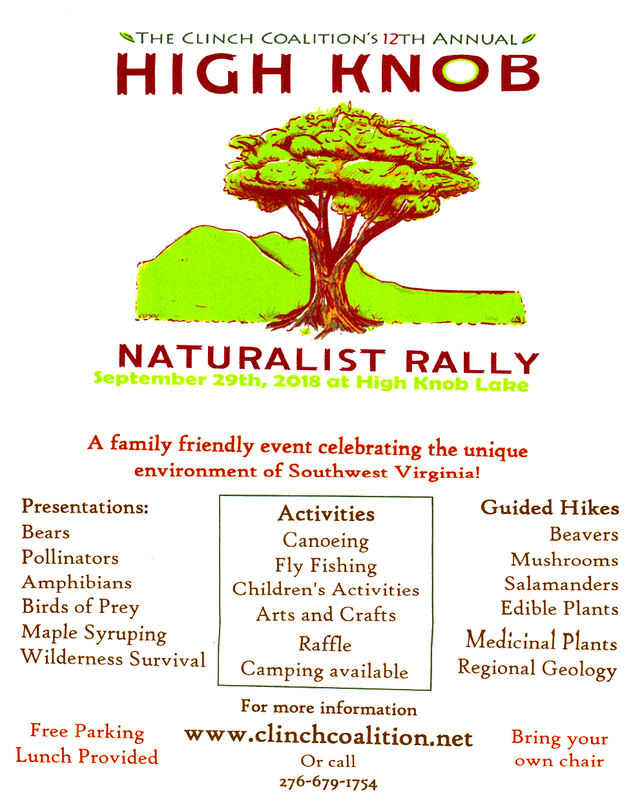 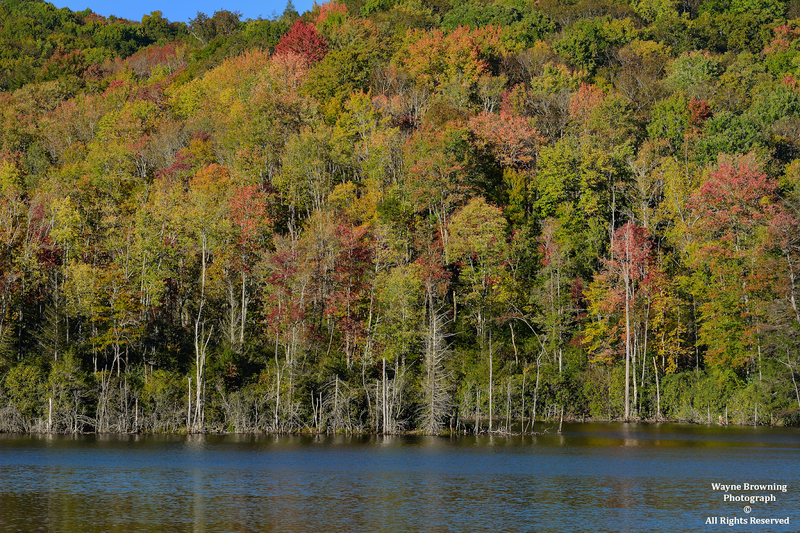 The High Knob Project for Undergraduate Research At UVA-Wise has found it in both the Big Cherry Lake and High Knob Lake basins, and it has also been reported from other upper elevation sites in the High Knob Massif which spend many days every year in clouds. 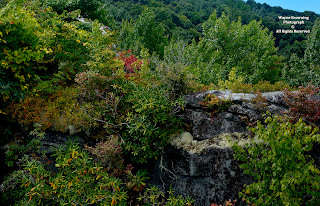 the City of Norton-Massif area. 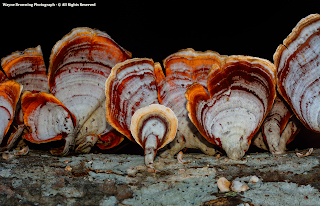 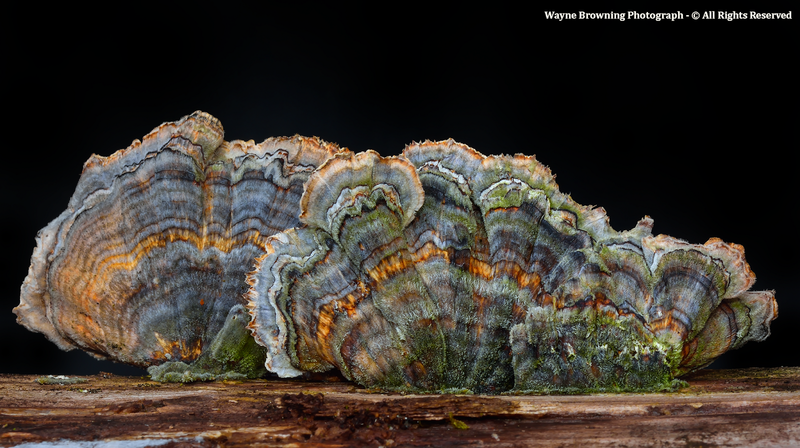 Trichaptum biforme is one of the Turkey-tail ( Trametes versicolor ) look-a-likes and one of the most common of the White-Rot fungi found in the forest that breaks down lignin in wood. Turkey-tail is one of the most celebrated medicinal mushrooms, with Adam Haritan of LearnYourLand doing an outstanding job presenting these outstanding benefits. 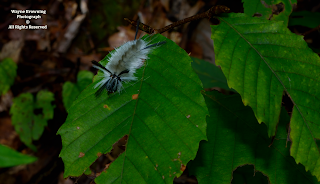 Adam also shows how to identify these species in the field. 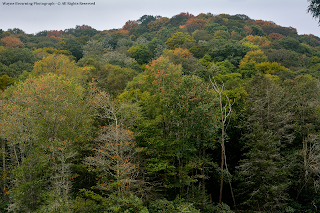 the ecology of a forest. 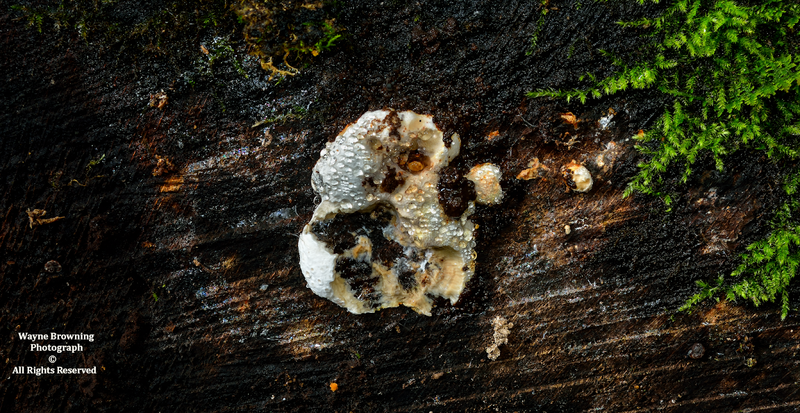 Work upon dead and decaying wood. 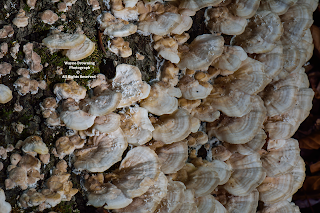 Form symbiotic relationships among species. 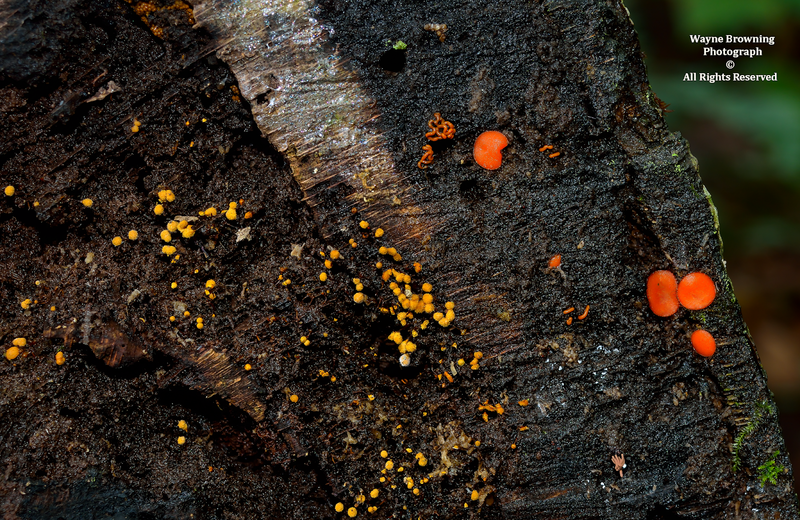 Are fungi which live inside all living plants. over different substrates, and as they age. 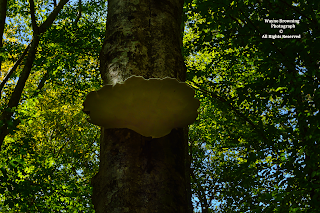 Although the huge fungus below can not be fully seen, except from the bottom, it has to be very strong to hold heavy snow, rime, and ice accumulations in winter. 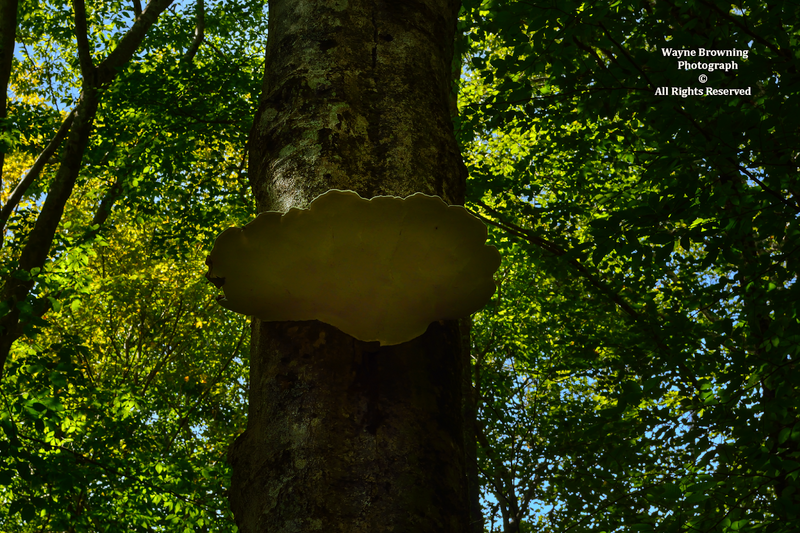 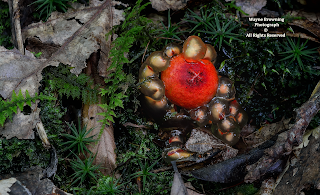 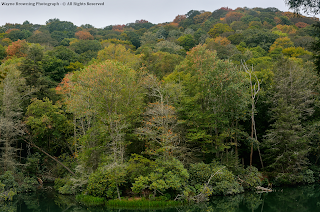 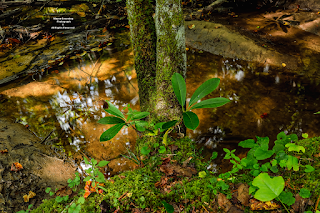 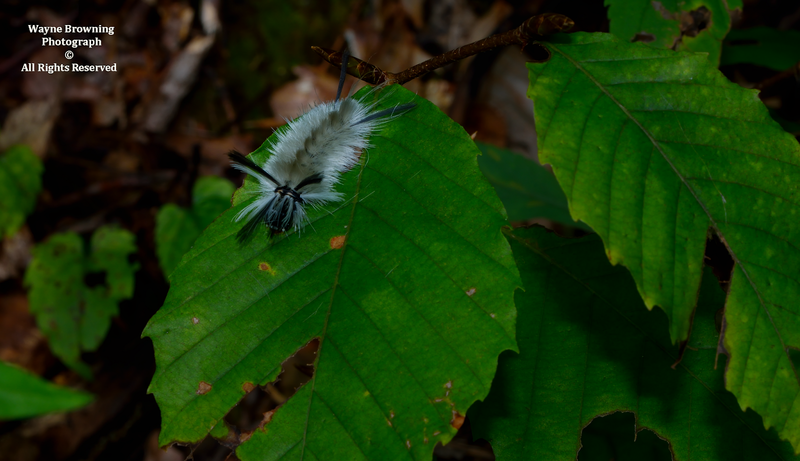 It has been growing for years in High Knob Lake basin on an American Beech tree in this wet habitat of a high-elevation cove forest community within Central Appalachian Northern Hardwoods. 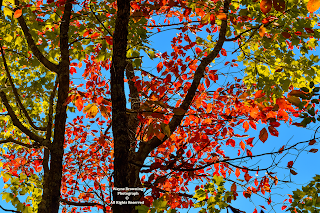 Adam Haritan on his YouTube Channel. 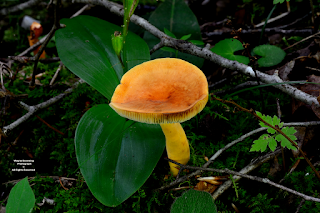 The High Knob Massif contains a vast array of fungi. 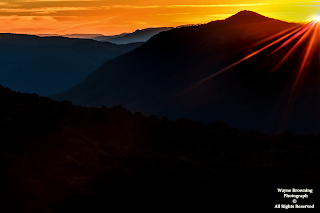 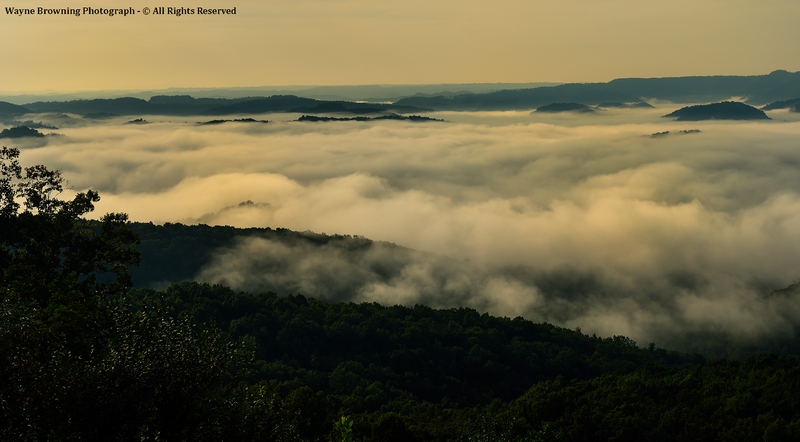 Transition from mountain to valley winds generated nice conditions during early morning hours of September 5, near the Pound Gap of Pine Mountain, with fog covering valleys across northern Wise County as the High Knob Massif capped the far horizon. 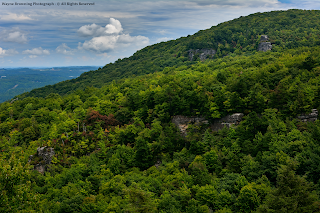 ( a tectonically folded mountain ). The approach of Florence remnants produced gusty winds during September 15, especially at mid-upper elevations. 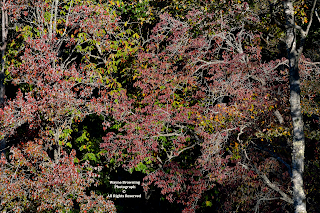 Sumac leaves below are turned upward to display their bottom surfaces. 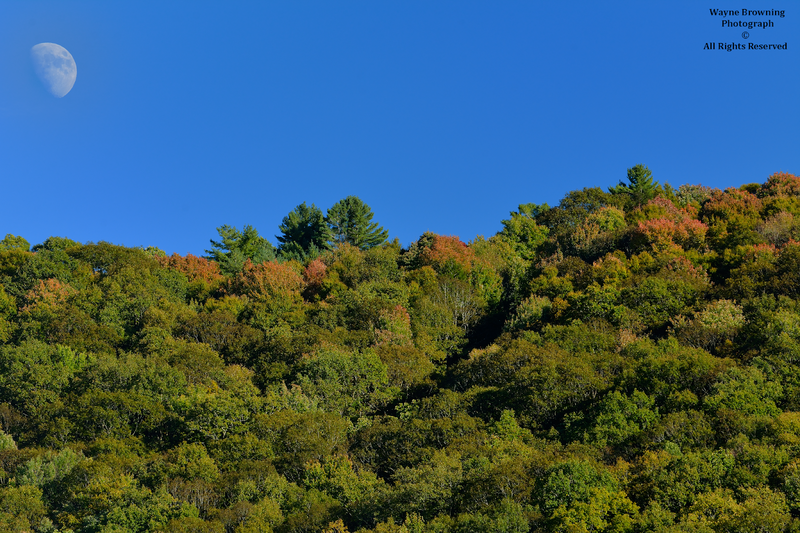 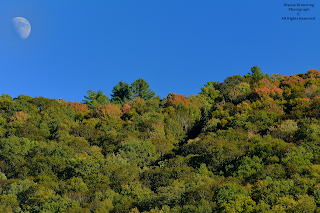 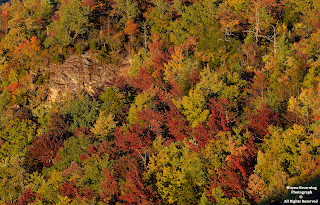 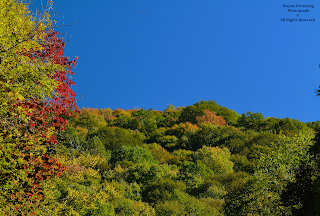 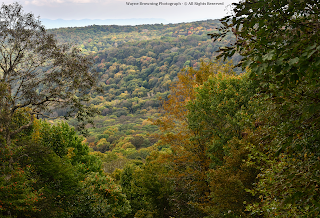 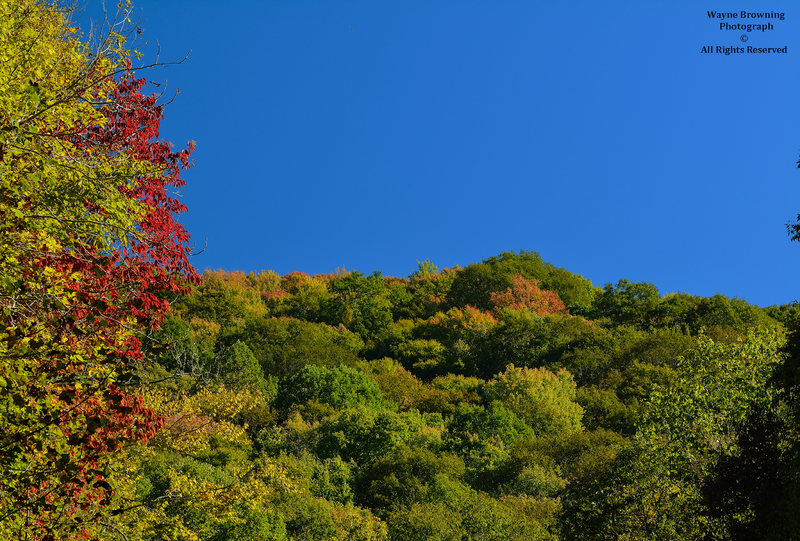 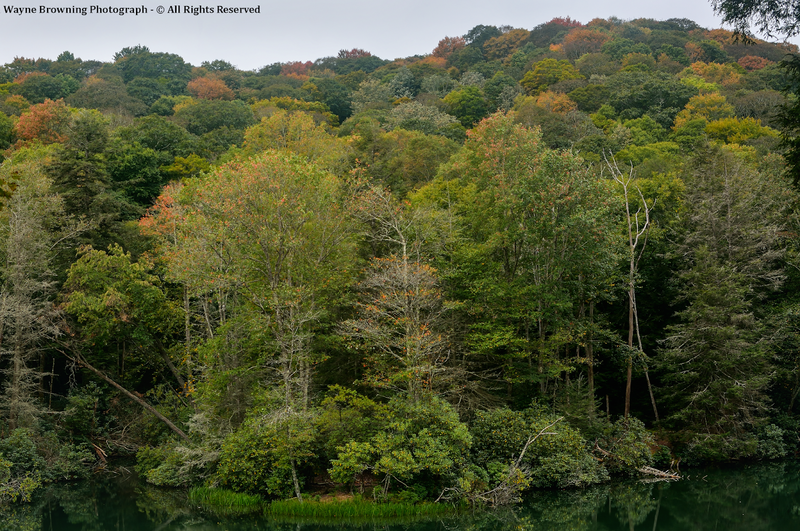 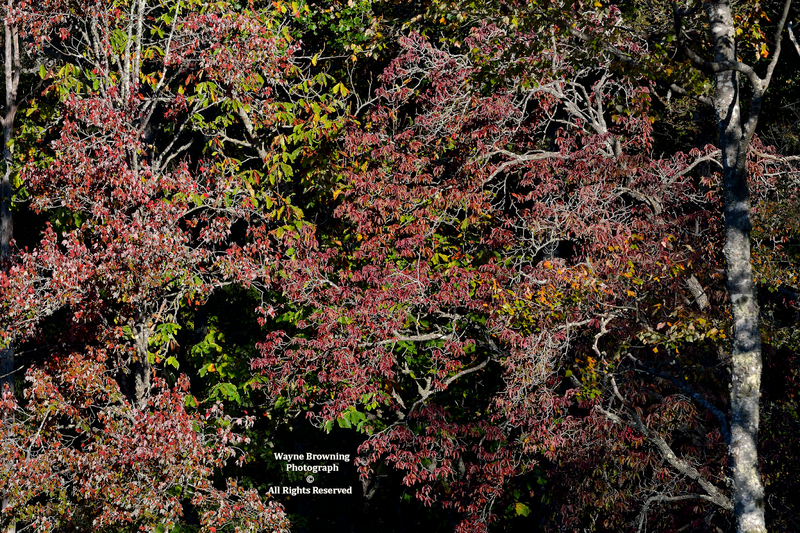 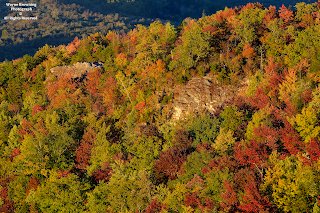 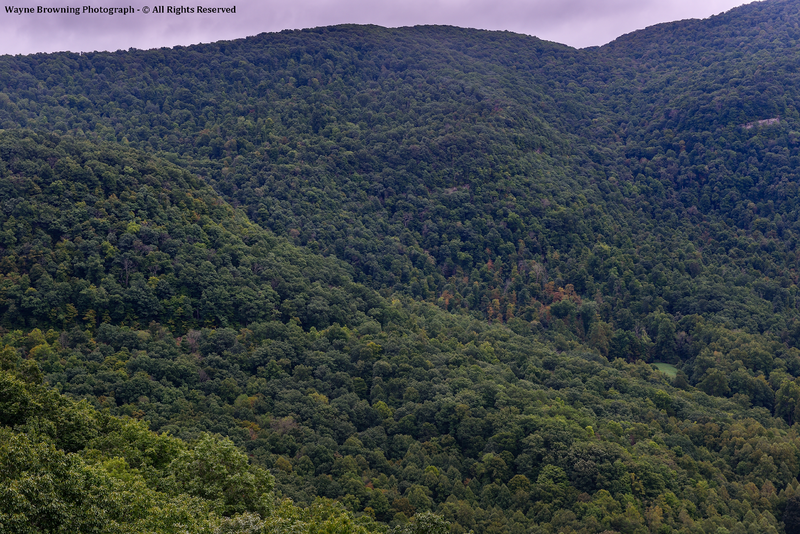 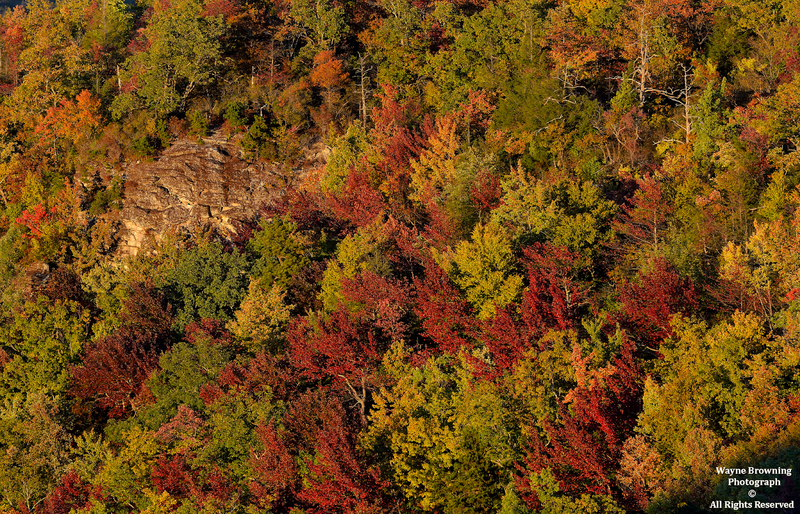 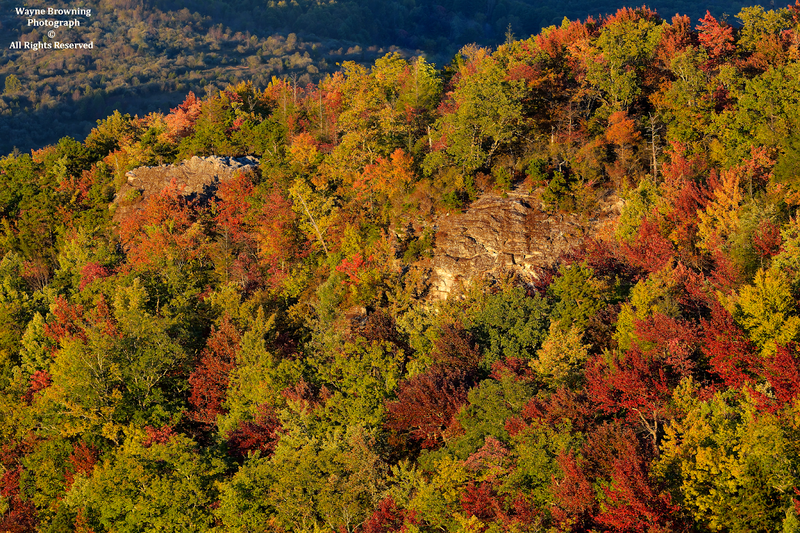 While trees remain mostly green in Powell Valley, some signs of autumn are becoming visible as seen by looking up along Rocky Hollow in the Head of Powell Valley. 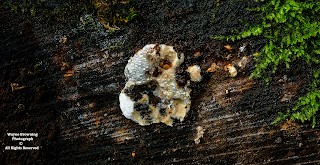 ( Tsuga canadensis ) due to the Hemlock Wooly Adelgid ( Adelges tsugae ) infestation of the past decade. Temperatures were in the 60s and the water choppy at Big Cherry Lake, on gusty NE winds, well ahead of the approaching remnants of Florence. 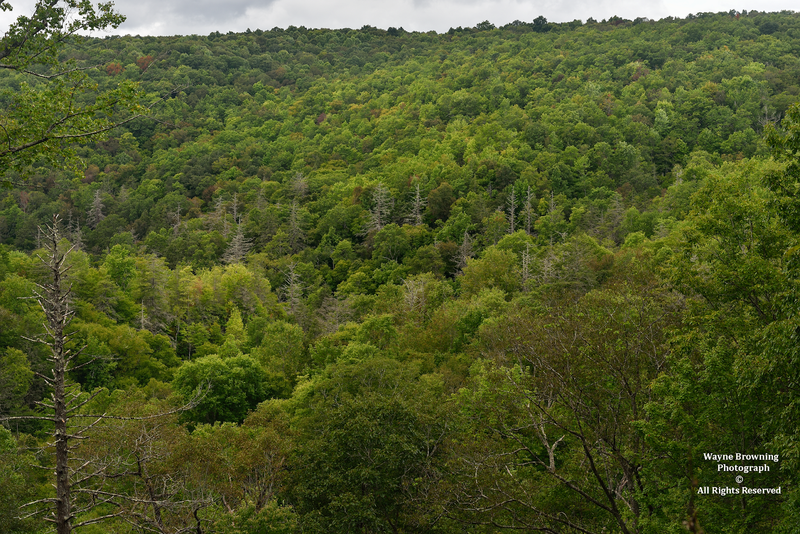 The effects of an Anthracnose Fungi infection is visible above with many brownish looking trees in Big Cherry Lake basin, and below in High Knob Lake Basin. 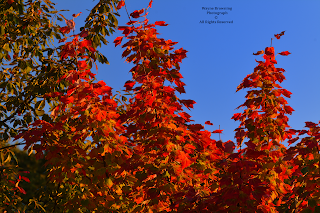 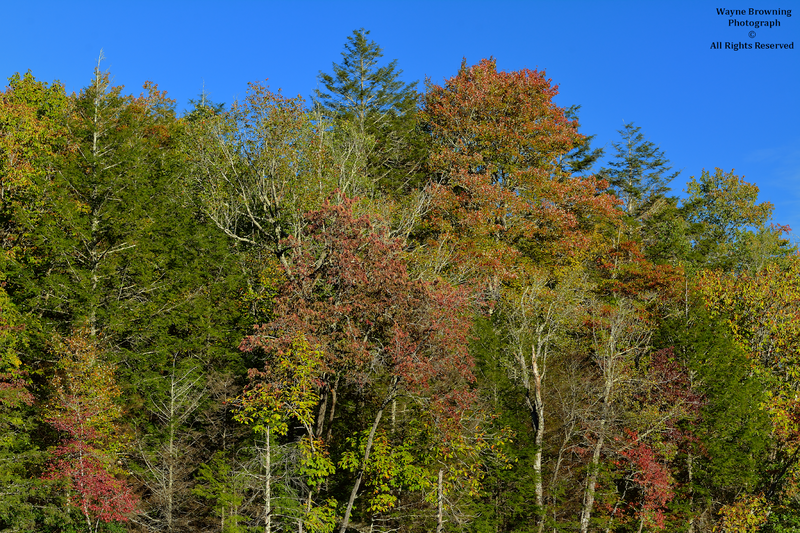 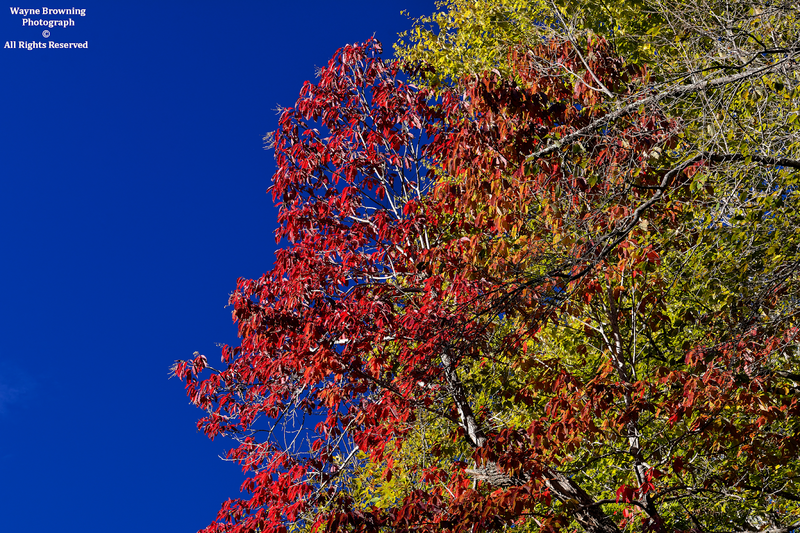 Although some nice color will develop, the general color quality is not expected to be as outstanding as it typically is at elevations above 2700-3000 feet.